AKA Robert William Hoskins Jr.
Executive summary: Who Framed Roger Rabbit? 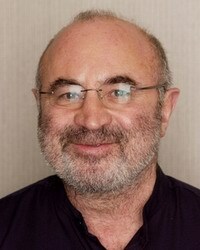 Bob Hoskins quit school at 15, and to support himself he worked as a window cleaner, truck driver, steeplejack, merchant seaman, circus performer, ditch-digger, commercial artist, and accountant. He spent two years in Syria living amongst Bedouin tribes. He said that he became an actor accidentally, in 1968, after several drinks in a British pub. His first marriage ended in divorce when Hoskins had an affair. When the divorce was finalized in 1978, Hoskins was left with nothing, and had a nervous breakdown. At rock bottom, he lived in his Jeep, but rock bottom didn't last long. His 1980 role as a British gangster in The Long Good Friday with Helen Mirren made him a star. His films include Mona Lisa with Michael Caine, and Terry Gilliam's classic nightmare Brazil. Hoskins has also earned good reviews playing J. Edgar Hoover, Nikita Khrushchev, Benito Mussolini, and Manuel Noriega, but he remains best known for co-starring with cartoons in Who Framed Roger Rabbit?.